1 year of the Social Pillar: Things are moving but it’s not enough! It is urgent to translate the Social Pillar into reality! One year since the Proclamation of the European Pillar of Social Rights, when we put social rights back on the EU agenda! We are still facing many obstacles to translate it into reality, but we won’t give up. In the following weeks and months, I will continue travelling around Europe to remind Member states that they must deliver on their commitments! Happy 1st anniversary Social Pillar! Time to make the principles of the Pillar a reality for all Europeans! 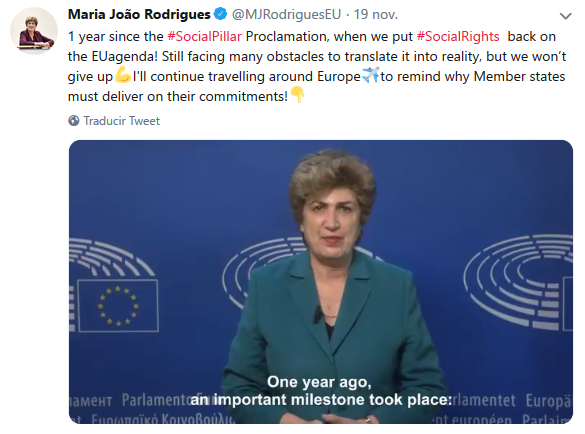 Ahead of the first anniversary of the Social Pillar on Saturday, S&D Group vicepresident and European Parliament’s rapporteur on the European Pillar of Social Rights, Maria João Rodrigues MEP, stated: “A year ago, on 17 November, an important milestone took place: all EU leaders and EU institutions solemnly proclaimed the European Pillar of Social Rights at the Social Summit in Gothenburg, Sweden. This was the first Social Summit in 20 years and a turning point for Europeans. The final document was not as ambitious as my report at the European Parliament, but a powerful process to strengthen social Europe was launched, involving new legislation, social policies and financial instruments. “We Socialists and Democrats have been leading the drive for the declaration to be implemented. This is happening thanks to the efforts of a coalition of progressive political forces as well as a large alliance of social partners another stakeholders from the civil society. “It was not easy to get a commitment at the highest level in order to update social standards. One year later, when we are negotiating different key legislative files and tools to implement it, we are still going through extremely difficult negotiations with conservative parties. 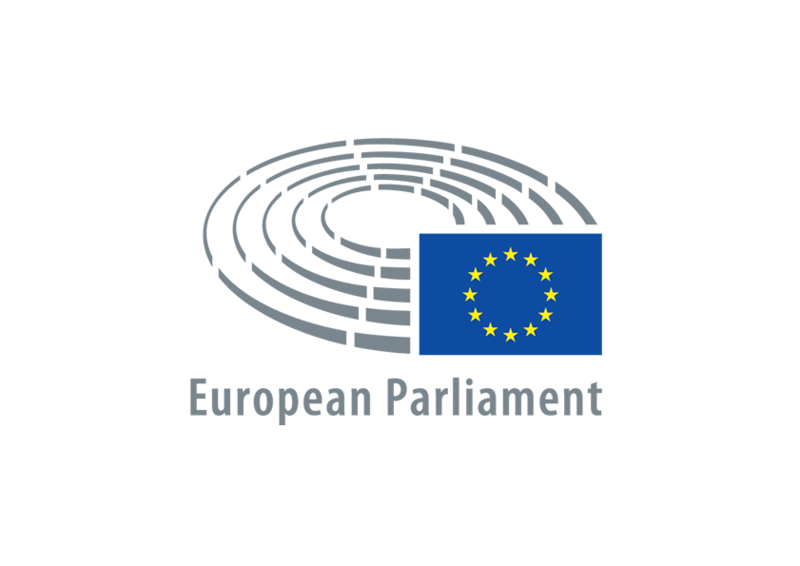 The last example is the vote which took place on 15 November in the plenary in Strasbourg. In spite of opposition from the EPP and the ECR, S&Ds led a majority to defend a report aiming at improving working conditions and establishing new rights for all workers in the EU, a decent labour and access to social protection. 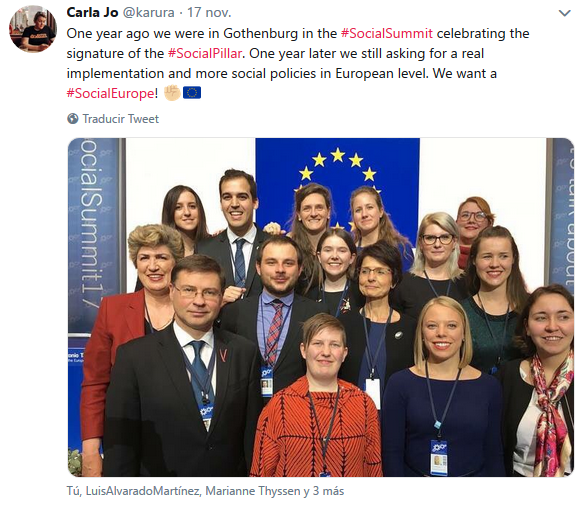 “In addition, the Social Pillar is bringing the social dimension to economic Subscribe Past Issues Translate governance: a social scoreboard to monitor social inequalities was created,social and employment aspects are better reflected in the national reformprogrammes and country specific recommendations. In terms of funding, the implementation of the Pillar is reshaping the European Social Fund and InvestEU will support social infrastructure. “These are crucial initiatives that will benefit Europeans. Yet, progress is not sufficient. We need to overcome the challenges and speed up negotiations in order to be able to deliver on the promises made in Gothenburg: to build a fairer Europe and strengthen the social dimension of the EU before the 2019 European elections.